Cheap Weekend Fun in Boston for January 17-19, 2015! The Patriots AFC Championship Game at home AND a three day weekend… sign me up! If you are looking to be at the game and would like to win Patriots tickets, the Patriots are giving away a VIP Experience, but you need to enter to win by 1/15 at 1pm! Good Luck! 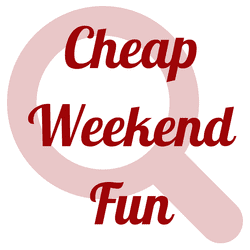 If you are looking for things to do in Boston this weekend, here’s the cheap weekend happenings with a lot of free things to do on Monday (with free parking on Monday too)! Free Admission at MFA: Monday, January 19, 2015. The Museum of Fine Arts is free all day on Monday. Martin Luther King Jr. Day of Service and Celebration Tribute Concert: Monday, January 19, 2015 at 1pm at Faneuil Hall Marketplace. Enjoy Boston Youth Symphony perform its celebration tribute concert on MLK day. MLK Day of Service: Monday, January 19, 2015 from 10-3pm at the Franklin Park Clubhouse. Help clean up Franklin Park for a day of service! Please RSVP. Cambridge MLK Day of Service: Monday, January 19, 2015 from 2-5pm. Head to Cambridge to lend a helping hand with hands on art projects. Free National Park Day: Monday, January 19, 2015. All 401 National Parks have free admission on Monday. Free Tea at Teavana: Saturday, January 17, 2015 at Participating Teavana locations. Participate in a green tea tasting experiences and receive a free handcrafted Winterberry hot 16 oz or 22 oz iced tea beverage on Saturday! Hope you have a great long weekend whatever you decide to do! GO PATS! !